A quartet of cafés will open in coming weeks at 194 St. Paul Street in Burlington, on the first floor of an apartment building that houses Champlain College students. The four businesses will offer morning coffee to nighttime noodles, said Linda Wheeler, the college's senior director of auxiliary services. They include Perky Planet, a coffee shop that Seven Days reported on in March, which will be staffed by people with intellectual disabilities; Juice Amour; Café St. Paul; and a ramen shop that has yet to be named, according to Wheeler. An offshoot of a Middlebury juice shop, Juice Amour will serve juices, smoothies, salads and tacos, said Jay Welkey, who will be the cook there. The Texan, who moved to Vermont after cooking for six years in Austin, is starting a produce farm in Weybridge and Cornwall and said he hopes to provide vegetables to Juice Amour. "I've got an endless amount of recipes I can try, [including] vegan tamales," Welkey said. "We'll see what works. We're just kind of having fun and making fresh food." Adam Jones, a co-owner of Myer's Bagels on Pine Street, is a partner in Café St. Paul with William Bartlett, who will run the business. 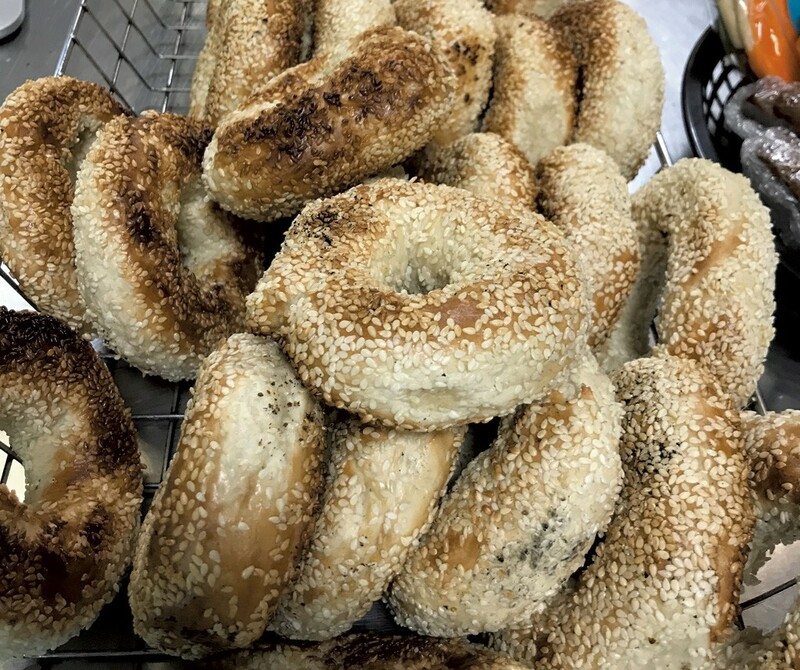 The Montréal-style deli will serve Myer's bagels and cream cheese as well as breakfast sandwiches, smoked meats, deli sandwiches, salads, soups and poutine. The ramen restaurant is the newest business to sign a contract on the space at 194 St. Paul Street; it should be open early next year, Wheeler said. The other three cafés — currently in the "fit-up process" — will be open for business before the end of the fall semester, she added. The apartment building houses about 300 college students; the restaurants are open to the public. The original print version of this article was headlined "Foodie Foursome"